Who and/or what will be big in 2007? We know! Bishop says the organization also has concerns about treatment and services for senior citizens. Last year brought Charlotte several high-profile tragedies at area nursing homes. In one example, a 66-year-old Alzheimer's patient went missing for four days in June before nursing home employees found her in a storage area not far from her room at Liberty Nursing and Rehabilitation. The patient, Mary Hicks Cole, died; her family has sued. Bishop says the group needs to research elder care issues and develop relationships with key leaders such as state Rep. Beverly Earle, who is co-chairwoman of the N.C. Study Commission on Aging. "We've got to begin to get that issue more attention," Bishop says. In a county where ascending politicians wait politely in line for years for their chance at leadership, Jennifer Roberts is breaking all the rules and turning a few heads. Two years ago, no one gave Roberts much of a chance of winning an at-large county commission seat. Established politicians often fail to capture highly competitive at-large seats, and Roberts was a political unknown running against those established politicians. Roberts not only won that race, but came in first in her second at-large race in 2006, topping the vote total of even long-time commissioner Parks Helms, who for years came in thousands of votes ahead of his nearest opponent -- and until November was the county's most popular politician. Roberts put an end to that with a well-organized campaign, and her colleagues recently elected her chairwoman of the commission, the first time a woman has ever held that position. 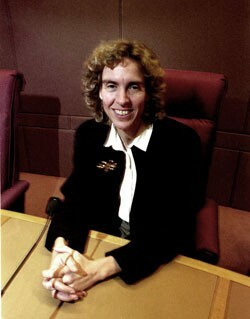 As chairwoman of the commission, she also leads the Metropolitan Planning Commission, which governs light rail and mass transit projects for the county; this position will make her a powerful player in local politics as leaders from different parts of the city and county fight for mass transit dollars and mass transit projects that can change the face of their areas. In her new roles, Roberts has a chance to rewrite how the county is governed. She's already doing that by reaching out to booming parts of the county that previous Democratic leaders have shunned, like University City, home to young up-and-coming politicians of both political stripes. What will she do next? What changes will she make? In a county that has grown politically stale, Roberts is a fresh new face to watch. Soulganic, formerly known as Organic Soul, is now officially Charlotte's finest neo-soul outfit. Led by sweet-voiced front man and co-musical director Anthony Rodriguez, the quartet also features funky drummer Cory McClure, classically trained guitarist Ryan McKeithan, and master percussionist Lucas Torres. Rodriguez, a native of the "Boogiedown" Bronx, seamlessly juggles his partners' collective range of diverse influences -- from Dizzy Gillespie and Tito Puente to Santana, Stevie Wonder and Maxwell -- as is made clear by tracks on the group's MySpace page: myspace.com/organicsoulmusic. Buoyed by the fiery percussion of studio vet Torres, Soulganic has triumphed at such local venues as Spirit Square, NoDa's Wine Up, the Evening Muse and the SK Net Cafe, swaying audiences with its funky fusion and a true falsetto of the kind rarely heard since the 1970s heyday of Al Green, Philip Bailey and the Chi-Lites. Music writers can easily fall prey to hype and exercise their jones to forecast futures that no one can truly predict, yet anyone witnessing one of Soulganic's live shows would be enthusiastically inclined to foretell great things to come for this group. As long as they keep striving for higher levels of creativity and take it to the stage, it should be so. 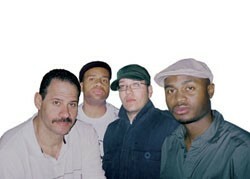 Soulganic's R&B/funk/jazz with a Latin twist certainly impacted the way Charlotteans got their groove on in '06. Accolades followed from this paper, the Observer and SOTAC, among other sources. And now all looks very bright for the group in 2007. If you've missed their act thus far, be sure to get on out and witness why Creative Loafing voted Soulganic as its '06 Best New Band. Then, look out for the group's as-yet-untitled new release in March. It will indeed be "organic soul" at its best. Admit it. You love inner monologues expressed in thought bubbles.